Archbishop Bernard Hebda of the Archdiocese of Saint Paul and Minneapolis and Bishop Michael Burbidge of Arlington, Va., both celebrated CAC MLB Masses on June 24. 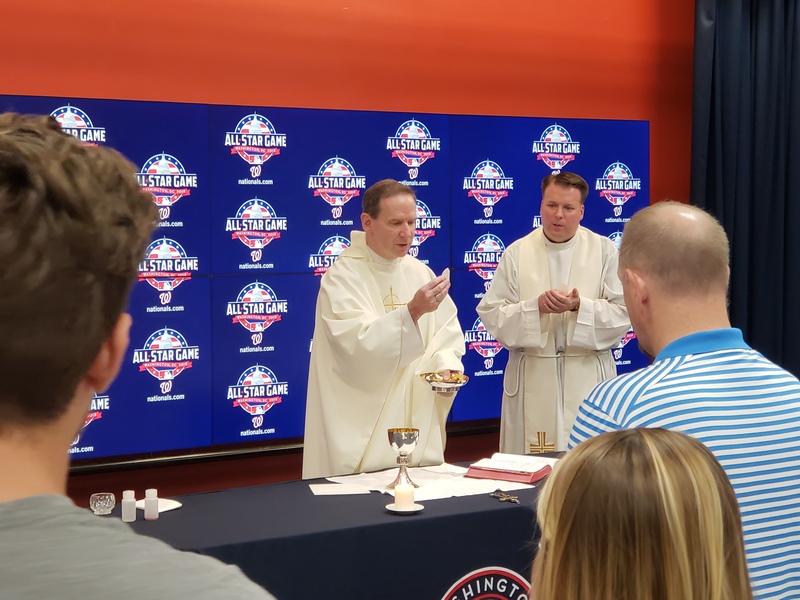 Archbishop Hebda celebrated Mass at Target Field prior to the Twins-Rangers game, while Bishop Burbidge celebrated Mass at Nationals Park prior to the Nationals-Phillies game. Bishop Burbidge has long served on CAC’s Episcopal Board. CAC coordinates Catholic Masses at 28 of the 30 MLB stadiums on homestand weekends. In 2017, CAC was responsible for coordinating 330 Masses across the league for players, coaches, trainers, broadcasters, front office personnel, and stadium workers. 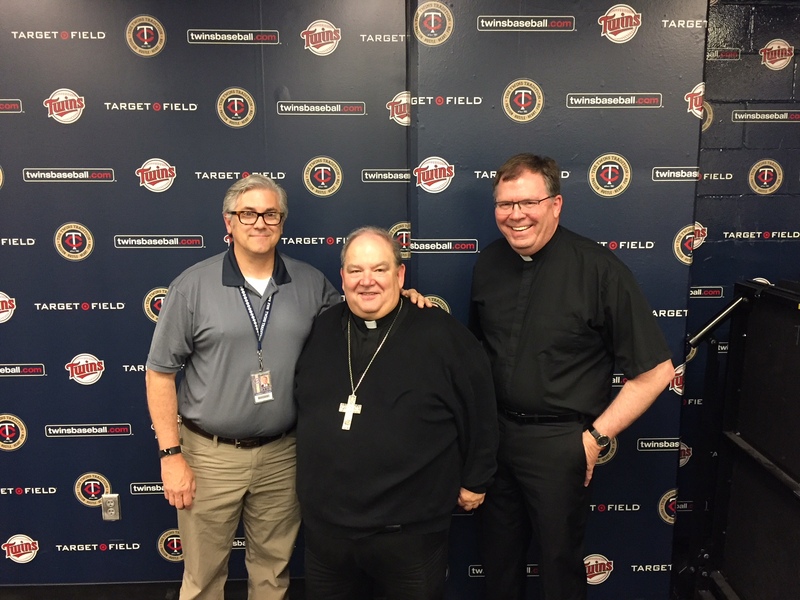 Archbishop Bernard Hebda (center) of the Archdiocese of Saint Paul and Minneapolis celebrated the Twins Mass at Target Field on June 24 prior to the Twins-Rangers game. Archbishop Hebda is pictured with Jeff Reardon (left), Twins Director of Security, and Father Michael Tix, Twins Priest-Chaplain, following the Mass. Bishop Michael Burbidge of the Diocese of Arlington, Va., celebrates Mass on June 24 at Nationals Park prior to the Nationals-Phillies game. Bishop Burbidge has long served on CAC’s Episcopal Board.